My family and I all love a good party. From game day to holidays, there’s nothing quite like having a bunch of friends and family over for some laughs and good times. The parties can be intimate (even just the 5 of us) or larger in scale, it really doesn’t matter. The personal touch, the connection, the laughs, and the good food is all we need!! We recently went over to my mother-in-law’s house for a little get-together. We hung out, spent some time joking around and watched some football, too. Whenever we go to someone’s house, we always bring something. Be it wine, beer, bread, or dessert, we always love to contribute and say thanks for having us over. This time, since it was going to be a really informal get-together, I decided to bring the apps!! Chips, pretzels, raw veggies, Boar’s Head Genoa Salami and Sandwich Style Pepperoni were all making the trip. Now, what to pair it with? The best I could think of…Boar’s Head Hummus. 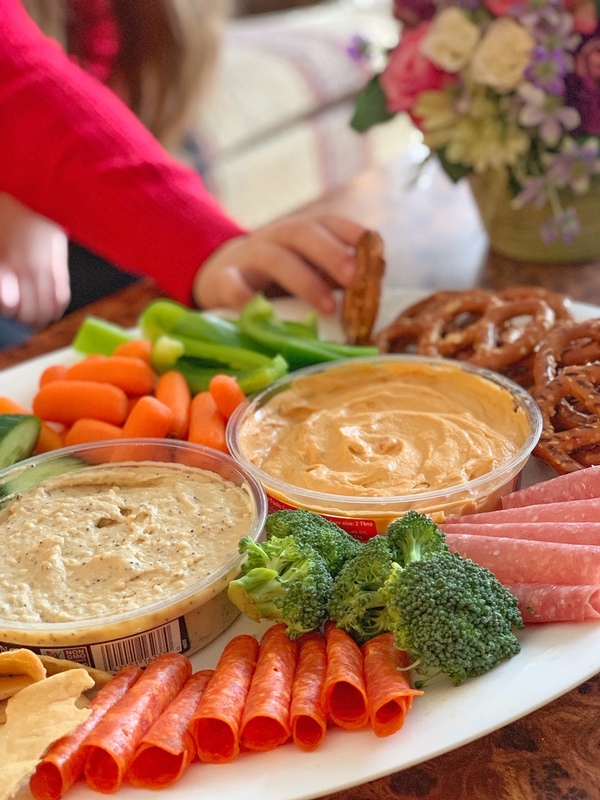 Boar’s Head Hummus is perfect for entertaining at home – especially for gathering of friends and family for sports and/or football games! 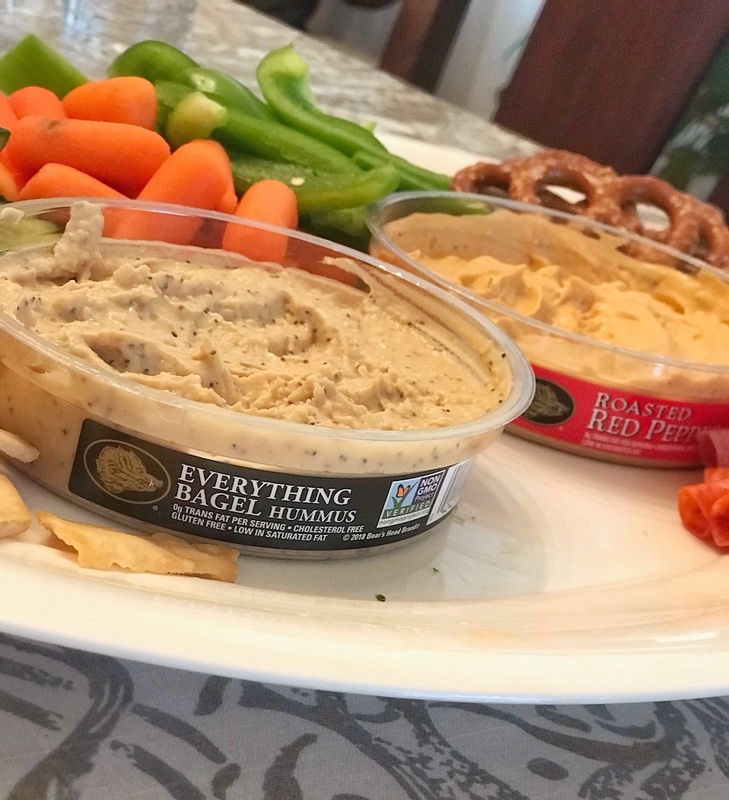 While the crave-worthiness and total flavor appeal of having 13 Hummus flavors to discover & enjoy is really at the top of the awesome list, it’s also all about how Boar’s Head Hummus is made. Boar’s Head Hummus is the best option for entertaining and is the most exceptional quality that can be bought!! 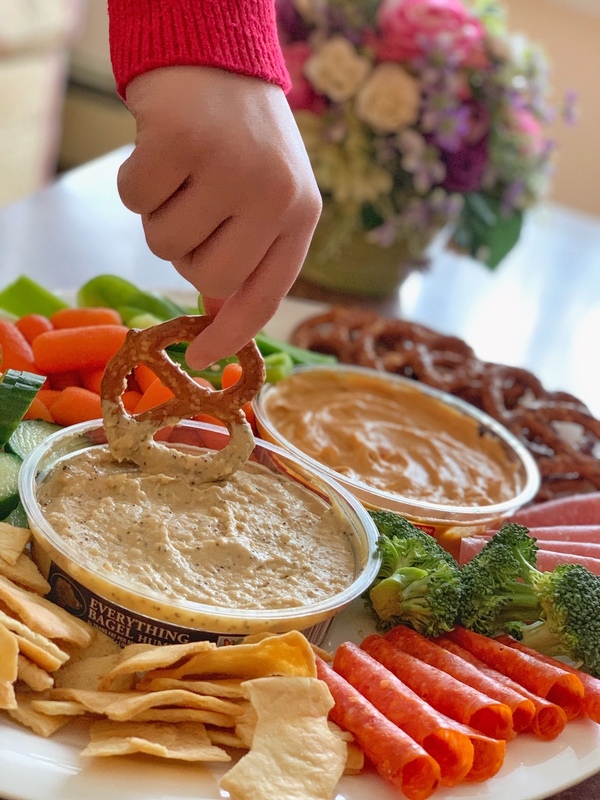 Boar’s Head Hummus is special first because of what it’s made with. This is really important for me. I want my food and the food I serve my family and friends to be the best quality around. Unlike other brands, Boar’s Head’s Hummus recipe lists premium steamed chickpeas as their first ingredient! That’s a big deal, it’s what hummus is all about. Also, every flavor is packed with those delicious chickpeas, toppings, and spices (like tahini and sea salt) that are Non-GMO Project Verified, all-natural, and gluten-free. This all makes for a smooth, creamy texture with a well-balanced taste that features the fresh flavor of chickpeas and finishes clean!! While what’s in the hummus is important, what’s NOT in the hummus is also really important. I like natural, simple, and delicious food. I don’t want to have 100 ingredients in something I’m eating. It’s weird. 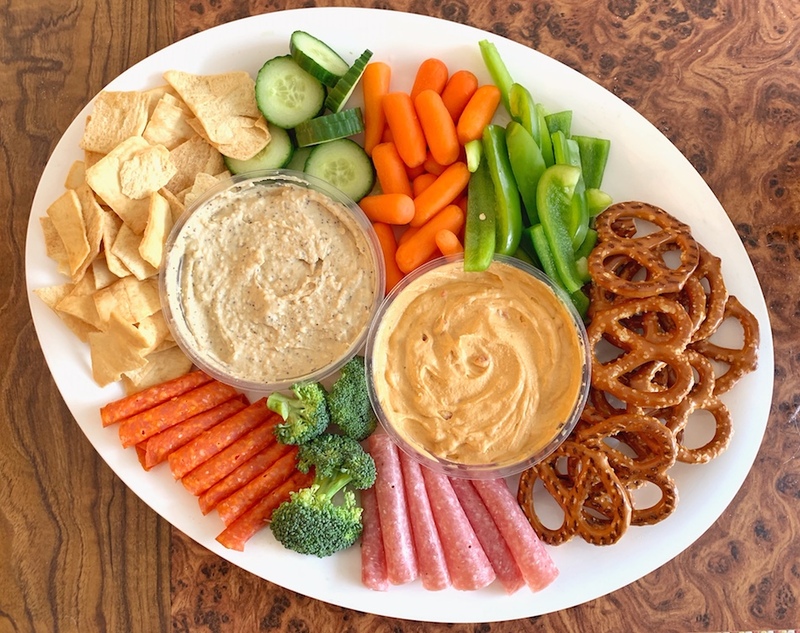 Thankfully, Boar’s Head Hummus contains no artificial preservatives, flavors or colors. Also, there is no potassium sorbate (an artificial preservative found in some leading Hummus brands) or no MSG added as a flavor enhancer. The best, purest ingredients make for the best tasting hummus. 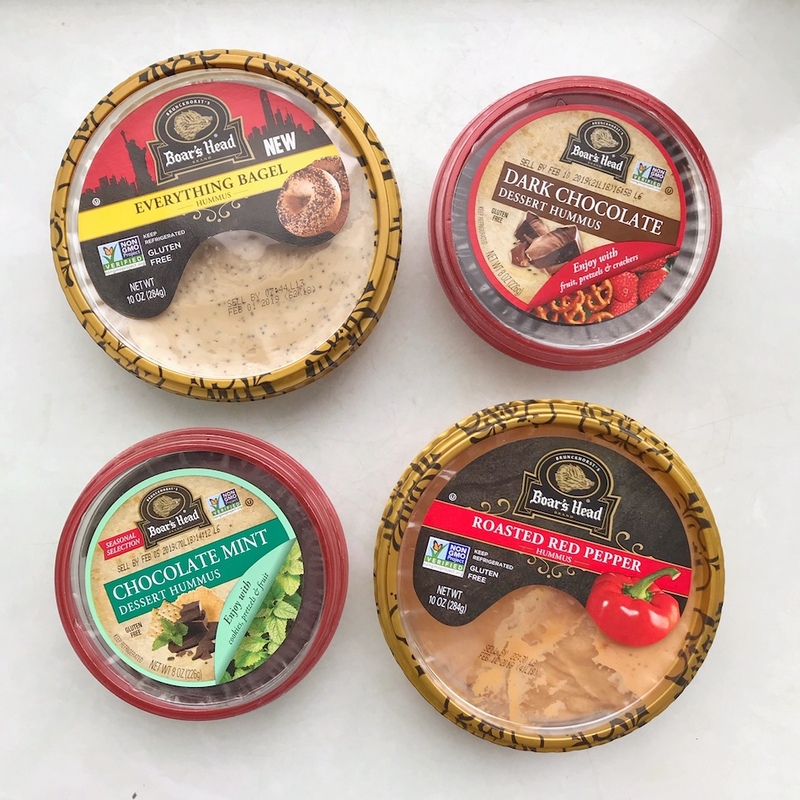 There are 13 flavors of Boar’s Head Hummus so there’s really a taste profile for just about everyone. This time I picked up the Boar’s Head Everything Bagel Hummus and Roasted Red Pepper. Both of these are super flavorful and packed with goodness. 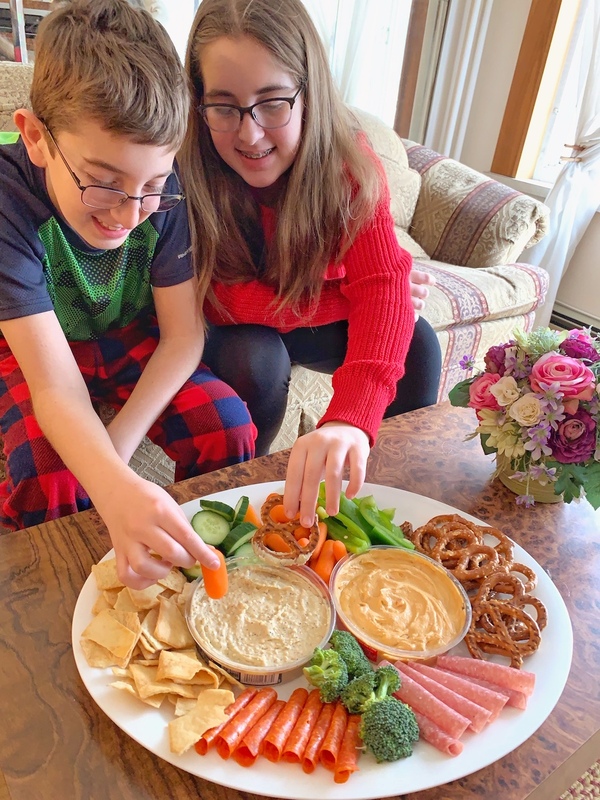 Everyone loved both of them and they go great with pretzels, pita chips, raw veggies and really any type of chip you could think of! If you want something a little simpler there’s always Boar’s Head Traditional Hummus or Boar’s Head Traditional Simplicity Organic Hummus. The most amazing surprise had to be the Dessert Hummus we had. Both the Boar’s Head Chocolate Mint Dessert Hummus and Boar’s Head Dark Chocolate Dessert Hummus were fantastic. 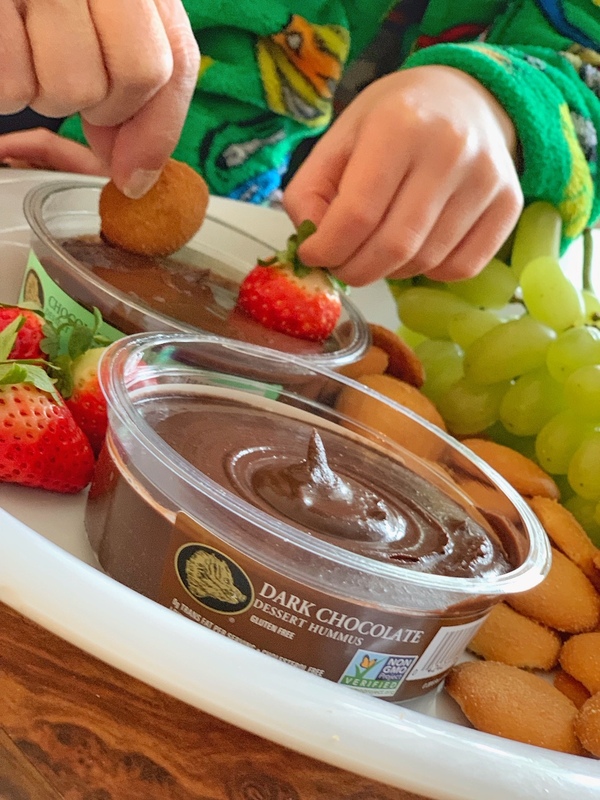 The main ingredient is still those awesome chickpeas, but the spread is pure chocolate goodness. You would never know this is so good for you. Pair these with your favorite fruit, cookie, or pretzels for an amazing, crowd-pleasing yet good-for-you dessert. This was a major success…definitely a keeper. 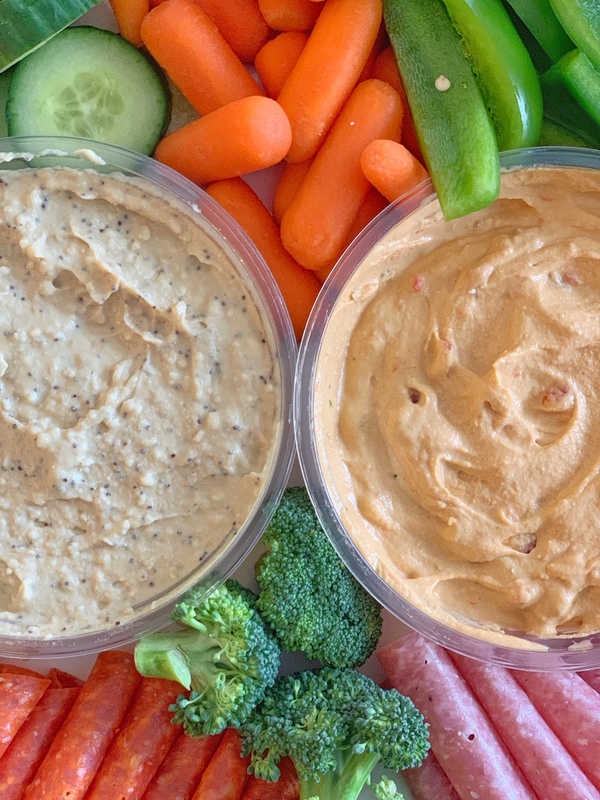 As you can see, there are near infinite flavor combinations when you think about all the hummus options and everything you can dip into them. 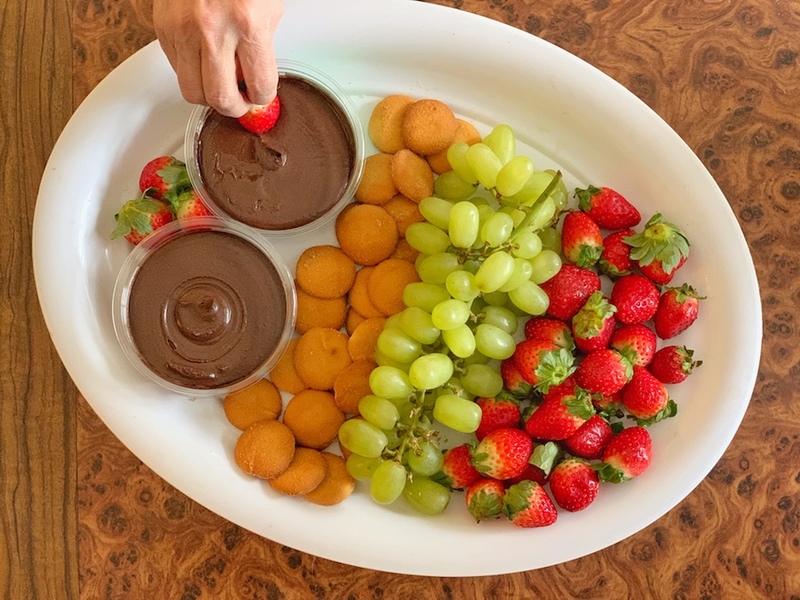 It’s an awesome, interactive, and fun appetizer and dessert that will absolutely be a hit at any party. People love options and different flavors, a little control over what they are eating. On top of that, Boar’s Head Hummus is actually good for you. It’s all makes for a pretty dope combination. The Roasted Red Pepper hummus looks amazing!! I’ll have to try the Boar’s Head brand — I hope we have it in Toronto! Oh cool! I love Boar’s Head lunch meat. I didn’t know they made dips, too. Well Boar’s Head hummus looks tasty. Great photos too. I enjoy hummus occasionally and it’s a great hit at parties. That’s so neat that they make dis to go with the meats and their other products. I love hummus. I could eat that all day long everyday. Wow this looks delicious!!! 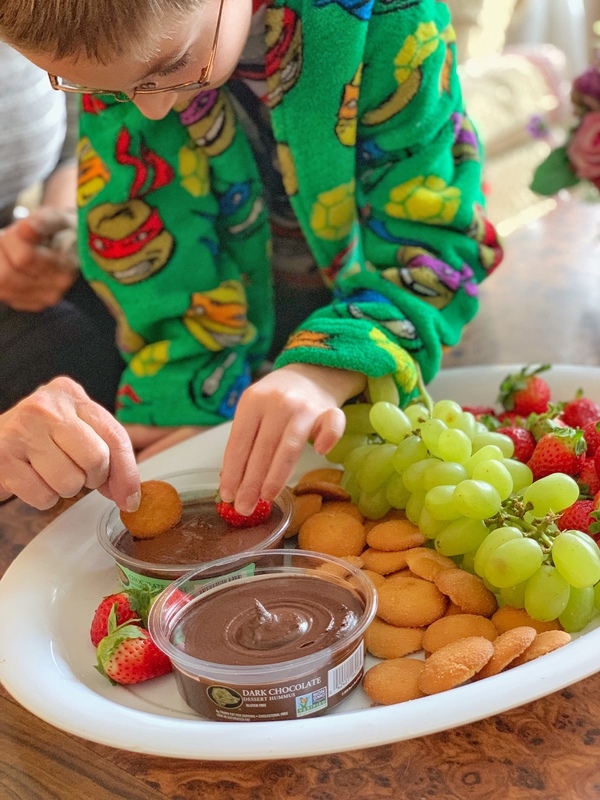 My kiddos love after school snacks like these, perfect for a busy day! Boar’s Head deli selections are the absolute best, so it’s only fitting that their hummus would be delicious too. I want to try all thirteen flavors! Wonderful food & good drinks.That is what great parties should be about.Feeling hungry now seeing it all. I’ve never seen or had this brand before. However, I absolutely love dips, especially hummus! I’m addicted, you might say, ha! Just looking at these dips is making me hungry. It’s one of my favorite snacks and appetizer options! I love Hummus especially on pita bread or carrot sticks! I haven’t tried Boar’s Head brand yet. I have to try it soon. My family and I love the Boar’s Head brand. Such great quality products.